These wars are part of a broader counterterrorism effort of the post 9/11 era that has cost taxpayers $5.9 trillion and claimed some 10,000 American lives, according to a report in February by the congressionally chartered Task Force on Extremism in Fragile States that included Eikenberry as a member, and was led by former New Jersey Gov. Thomas Kean and former U.S. Rep. Lee Hamilton, the co-chairs of the 9/11 Commission. Despite such milestones as the recent seizure of the last ISIS stronghold that President Donald Trump has boasted about in Twitter statements, extremist ideology is spreading. Battlefield victories often do not yield long-term stability. And annual terrorist attacks around the globe have increased fivefold, according to the task force report. In his Seattle presentation, Eikenberry detailed a key task force recommendation: A call for a U.S. counterterrorism focus on prevention, in partnership with the United Nations and other international organizations. This means building civil society and government accountability in fragile states where extremism is taking hold, and hopefully, through such efforts, reducing the number of the disenfranchised who end up drawn to violent groups that embrace terror. Such work is hard to boil down to sound bites. Success is uncertain, and may be difficult to measure. The task force’s findings have some support in Congress, helping to shape bipartisan legislation now pending in the House (where Rep. Adam Smith, D-Bellevue, is a sponsor) and Senate to require the U.S. government to develop a unified, long-term approach to prevention. The legislation calls for the State Department, Defense Department and other federal agencies to forge a 10-year strategy to address the underlying causes of “fragility and violence,” then periodically report to Congress on how that effort is progressing. The bill’s supporters included Portland-based Mercy Corps, an international aid group that in recent years has increasingly focused on programs that can reduce conflict. Mercy Corps, with Town Hall, co-hosted Eikenberry’s talk. In northern Nigeria, for example, Mercy Corps brought together often-feuding farmers and herders to talk about their differences but also their common problems. In Somalia, at-risk youth were offered educational opportunities, and enlisted in projects to improve their communities. During his tenure as ambassador, Eikenberry presided over a buildup of civilian staff at embassy who helped to manage a massive increase in U.S. aid that included projects intended to help build civil society. And he repeatedly ventured out of the heavily fortified Kabul embassy to travel to more than 30 Afghan provinces, visiting prisons as well as the palatial offices of regional leaders. He thought such travel was important to counteract an Afghan perception that American diplomats were growing more isolated in the sprawling U.S. embassy, and help him figure out what was and was not working. Eikenberry, in his Seattle talk, cited what he said was a notable success: a U.S.-funded program in Afghanistan that recruited rural women to train as midwives in urban centers. “These women would return to these rural areas and suddenly they were rock stars because they were keeping women healthy,” Eikenberry said, adding that they gained the support of conservative tribal elders who had been reluctant to see them educated elsewhere. 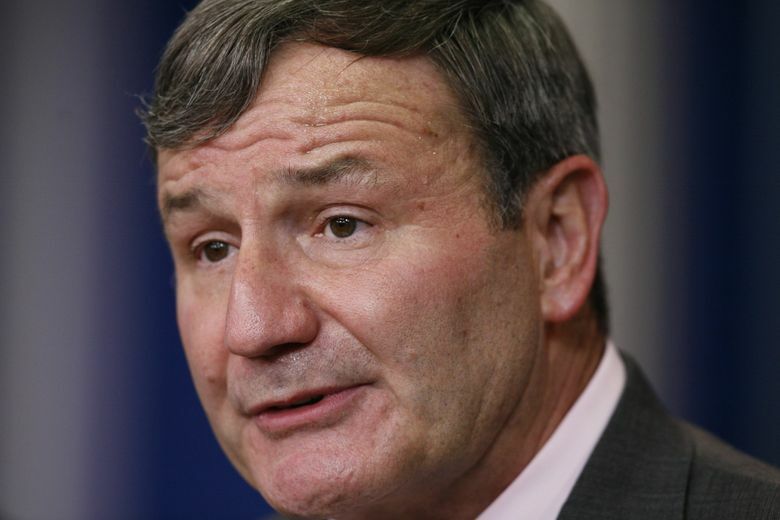 As ambassador, Eikenberry grew increasingly frustrated with, and critical of, of then-Afghanistan President Hamid Karzai. In November 2009, in diplomatic cables later made public by The New York Times, he wrote that Karzai “continues to shun responsibility for any sovereign burden,” and cautioned that the surge of American troops would only boost the dependency of the Afghan government on the United States. Nearly a decade later, the war in Afghanistan continues, and hopes of U.S. military gains have faded further.